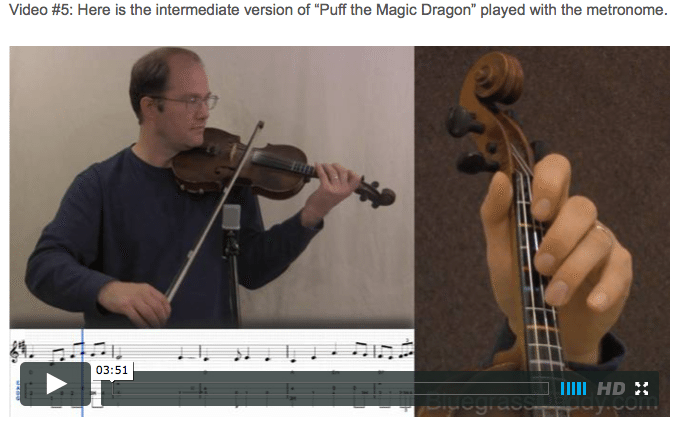 This is an online fiddle lesson for the Peter, Paul and Mary song "Puff the Magic Dragon." This lesson is by special request for my friend Gu. 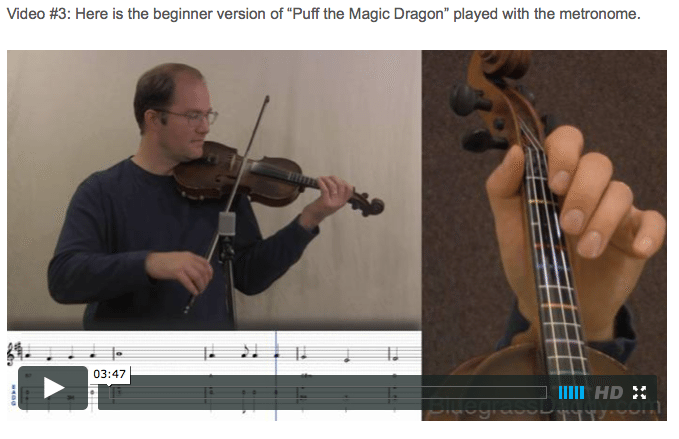 Video #1: Here is a video of me performing "Puff the Magic Dragon." " buy clomid online usa http://sluicecomic.com/comic/a-moment-of-clarity/ Puff, the Magic Dragon" is a song written by Leonard Lipton and Peter Yarrow, and made popular by Yarrow's group Peter, Paul and Mary in a 1962 recording. The song achieved great popularity. 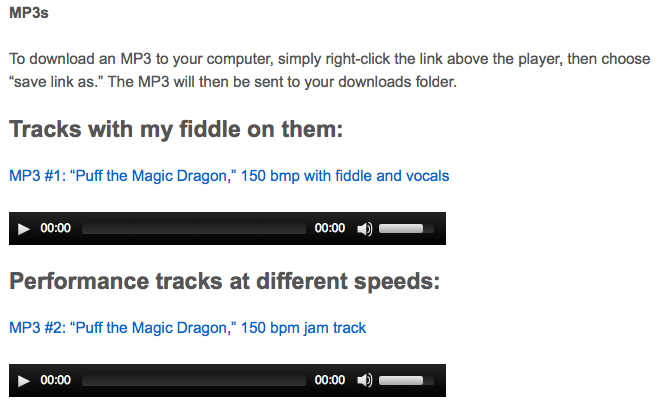 Posted in Beginner, Folk, Intermediate	Tagged with: "Puff the Magic Dragon" "Leonard Lipton" "Peter Yarrow" "Paul Stookey" "Mary Travers" "Peter, Paul and Mary" "folk fiddle lessons" "bluegrass fiddle lessons" "old time fiddle lessons" "John Cockman" "Bluegrass Daddy" "John's fiddle lessons"
This topic contains 27 replies, has 8 voices, and was last updated by John Cockman 1 year ago. Puff the Magic Dragon! This lesson is by special request for my friend Gu. This song always makes me cry – my older daughter has a chipmunk that is very “real” like Puff. Thank you for this song, John! It brings back memories. You’re right, Scott…need tissues! 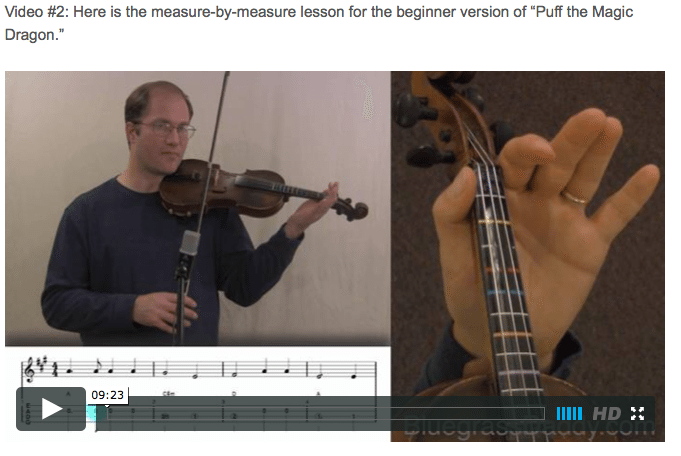 Hey John, I’m getting “How Great Thou Art” when I look at the notes and tabs for both beginner and intermediate versions…Do you have to hold your mouth a different way for Puff? 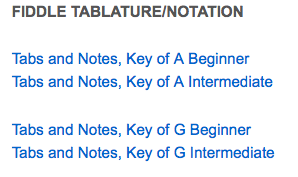 I might as well be a real pain and ask if you can tab it in “G”? Yayyyyy, havent heard it yet, but right after this word , me be rozin up me bow…Thanks John, it really means a lot to me . Scott and Justine, this one really did bring a tear. I have a recording of my daughters singing this when they were three and four years old. I will post it if I can find it! Peggy, thanks for the heads-up. 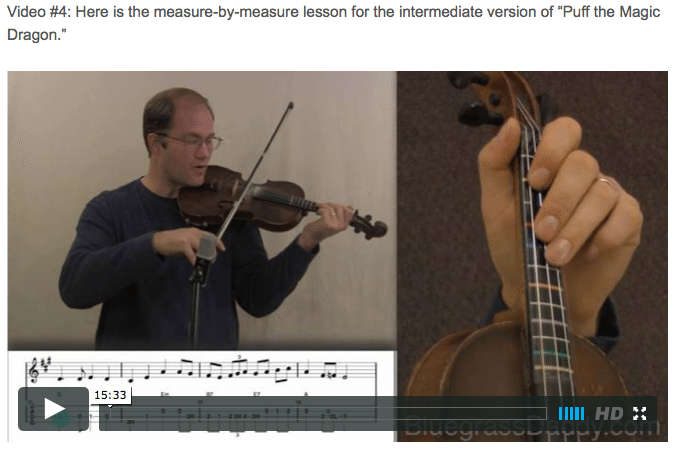 I fixed the link and added tabs in G.
Gu I’m glad you enjoyed it! Thanks again for the request. Great John, that was wonderful. Your singing in that k was right on. I think I have heard of P. P. & M. from somewhere. so they could play chords and accompany some of these songs. Hope you can find that recording of Arwen and Lorien singing, John. I’m glad that this song was still popular when they were little girls. 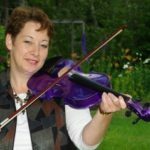 My mother played a lot of PP&M for us when we were kids. Peter Yarrow is a very good songwriter, and has also written a good many gospel and inspirational songs. Your family is going to have so much to talk about, at every family get to gather. That is what me and my brothers and sisters do. Do you remember when… Always the same stories. Now we tell the kids and grandkids the same old stories and they are still LOL. Thats cool John, did you get it? Glad you shared that, John! Your daughters are precious and so talented. I’ve seen them on various YouTube videos. Also, they seem to be good at a variety of instruments. Rock, I thought you were way too young to have heard of Peter, Paul, and Mary! Wow John, that was very cute. The memories you and your family have and will have. Oh man, that clip of your daughters was precious. Time flies so fast; I could feel the acceleration just listening to it and looking at the cute picture. We should all pay more attention to life, if such is possible. Justine, you are correct I have heard of them. You are truly blessed, my friend. Beautiful! This reply was modified 1 year ago by peggys. Peggy, I have Puff in my mind for a few days now. Hope ya’ll are doing good! You should learn it for him!